The latest residential data underlines the strength of the economy of the far east of the Lower Mainland as Abbotsford and Mission report 1,777 new homes under construction in March. 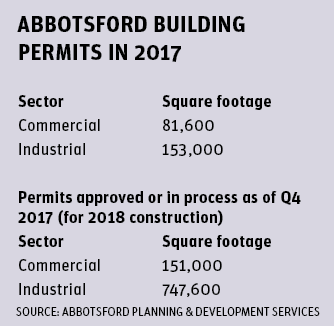 Abbotsford reported record-breaking building permits in 2017, representing a 92 per cent increase over the previous year to a total value of $480 million. Mission tallied $52 million in 2017 permits, up from $43.5 million a year earlier. “Abbotsford Mission will post a real GDP gain of 2.5 per cent in 2018, led by strong gains in industrial production, as well as solid domestic demand, as it continues to attract families living in the Vancouver region who are seeking out more affordable housing,” the Conference Board of Canada stated in its recent Metropolitan Outlook 2018 report. The region’s goods-producing sector will lead the way over the next two years, thanks to growing business opportunities, a lower Canadian dollar and a solid U.S. economy, the report noted. Manufacturing activity is expected to remain healthy, especially in the key wood products industry. 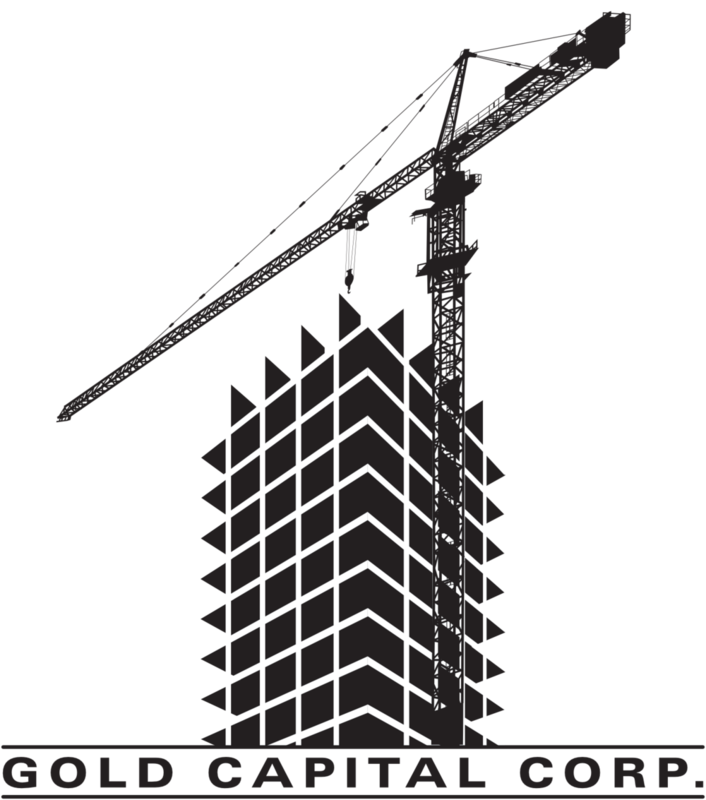 “The outlook for the construction sector is also bright, with housing starts and non-residential investment both poised to be strong,” said Alan Arcand, associate director with the centre for municipal studies at the Conference Board of Canada. While many think of Abbotsford as an agriculture community, aviation and aerospace is the No. 1 sector driving the city’s economy. The Industry Training Authority predicts the sector will need 4,000 new staff in the next five years alone. Abbotsford International Airport, the fourth busiest airport in B.C. and No. 20 in Canada, handles 114,528 aircraft movements per year and more than 677,000 passengers. Abbotsford is also, of course, the agriculture capital of Canada, with gross farm receipts three times those of Ontario’s Niagara region, which is Canada’s second most productive agricultural area. “A growing and diverse community, Abbotsford is affordable, conveniently located with access to vital transportation networks, and boasts a skilled and educated labour force,” said Mayor Henry Braun. The availability of relatively affordable land and a welcoming approach to investment have made Abbotsford a darling of the real estate development community. Last year, Abbotsford was named “Most Business Friendly Municipality” under the NAIOP Awards for Municipal Excellence, The award is given annually by NAIOP, the commercial real estate development association. The award was in recognition of the city’s increase in building permit issuances from 2015 to 2017, as evidence of it attracting businesses, encouraging the growth of existing businesses and promoting industrial development. In addition to recognizing the increase in building permits, NAIOP highlighted Abbotsford’s extensive effort to increase the amount of industrial land available by requesting the conversion of 600 acres from the Agricultural Land Reserve (ALR). Abbotsford launched a comprehensive four-stage industrial land supply planning process to identify opportunities for future industrial growth in the city last year. Currently, the city is in Stage 3 of the industrial land study. The background research and analysis conducted in stages 1 and 2 looked at the city’s optimal role in serving both the local and regional industrial markets, and the suitability and potential to accommodate future industrial development and to meet the community’s employment needs. Part of the vision for preparing the community to grow to 200,000 people from the current tally of approximately 141,400 was the recognition that more land would be needed. Braun said the municipality decided to limit residential growth and seek extra land for jobs space only. Braun said the city is focusing on infill opportunities, not just to limit sprawl but also to limit the expense on civic infrastructure. The district of Mission is also becoming a destination for industrial real estate due to a lack of supply and higher prices in Metro Vancouver. With easy freeway access and just 15 minutes from the U.S. border, Mission is seen as ideal for distribution facilities. There are two main industrial parks in the Mission area: Mission Industrial Park that allows light industry, warehouse, office use and even accessory retail; and Silver Creek Industrial Park, which has direct railway and Fraser River frontage. The 39-acre Silver Creek Industrial Park has bays for sale or lease ranging from 3,060 square feet to 6,370 square feet. Mission Industrial Park has lease opportunities for much larger spaces, from 10,000 square feet to 80,000 square feet, according to a District of Mission report. Mission industrial space leases for an average of $8 to $9 per square foot. Last year, industrial building permits in Mission reached $1.85 million, up about $500,000 from a year earlier. Downtown Mission has a mix of historic buildings and modern architecture and amenities to support a city of nearly 40,000. Downtown street-front retail lease rates average $8 to $13 per square foot. At Heritage Park Marketplace, close to the University of the Fraser Valley’s Mission campus, lease rates range from $22 to $26 per square foot, triple net. Rents are even higher at the Junction Shopping Centre, a 250,000-square-foot power centre, where lease rates average $32 per square foot, triple net. Mission’s commercial building permits were $1.9 million in 2017, with 27 permits. Residential is the dominant construction factor in Mission, though, confirms Stacey Crawford, the district’s economic development officer. He notes that Mission residential building permits hit $39.1 million last year, up from $31.9 million a year earlier and far outstripping all other sectors. In all, about 90 new detached houses have started this year in Abbotsford and Mission and, while less expensive than in Metro Vancouver, they are not cheap. The average price for a new detached house in Abbotsford-Mission is now $978,530, up from $956,000 a year ago.